adoptions, family law and civil litigation. 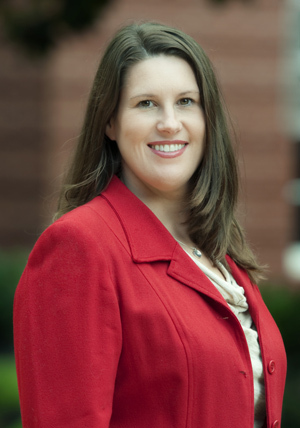 Hillary Dewhirst grew up in Knoxville, Tennessee and has been practicing law in the East Tennessee area since 2003. She graduated from the University of Tennessee College of Law with numerous honors, including Dean’s List and National Moot Court Team, and was a recipient of the McClure Scholarship for the Study of World Affairs. As a law student, Hillary worked as a summer associate with Sutherland, Asbill & Brennan in Atlanta, Georgia in the areas of criminal fraud, general civil litigation and contracts. She also was the first American to be offered an internship at the Council of Europe in Strasbourg, France, where she focused on human rights and anti-trafficking legislation. Hillary received the Transatlantic Summer Academy Fellowship in Bonn, Germany, where she studied international law, politics, economics and globalization, as well as a fellowship with the UT College of Law Legal Clinic. While at the Legal Clinic, Hillary traveled to Banjul, The Gambia as a legal advisor to the Bakweri Land Claims Committee in its hearing against The Republic of Cameroon. For her efforts at the UT College of Law Legal Clinic, Hillary won the Charles Miller Excellence in Advocacy Award, the highest honor given to students at the Legal Clinic. Hillary’s undergraduate degree is in International Studies. Prior to becoming a solo practitioner, Hillary worked for the Knox County District Attorney’s office as a truancy prosecutor at Knox County Juvenile Court. She primarily practices in the areas of adoption law and child advocacy. Hillary attributes her passion for adoptions to her own story of being adopted at a very young age. She is currently serving a term on the Juvenile Court Assistance Board. In her free time, Hillary enjoys photography and playing tennis. She is a member of Fellowship Church and has participated in mission trips to Tijuana, Mexico, Leipzig, Germany and Kosovo.